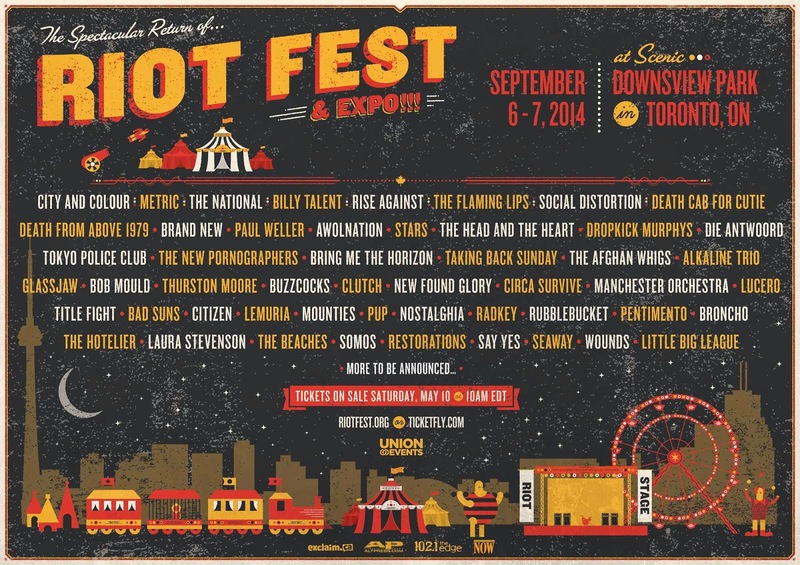 The 2014 edition of Riot Fest Toronto has been set. The event will take place September 6th & 7th at Downsview Park (sigh). Bathroom breaks will be provided courtesy of Billy Talent, City And Colour, and Rise Against, among others. Tickets go on sale Saturday at 10:00am.